Rainbow Restaurant, 109 First St.
Mission Bar & Tapas, 438 North St.
Hotel On North, 297 North St.
Dottie’s Coffee Lounge, 444 North St.
For information on the rest of the festival, including headliners Veronica Swift and Christian McBride’s New Jawn quartet, plus our jazz prodigy concert, click here. Click here for Frank Vignola tickets. 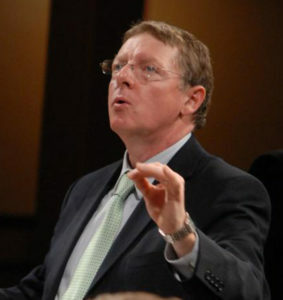 Click here for Jeff Holmes Big Band tickets. 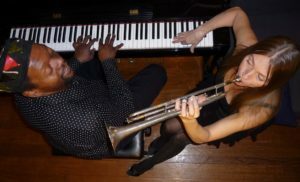 “Headline weekend” for the Berkshires Gateway Jazz Weekend kicks off with the Frank Vignola Trio (7:30pm, Lee Congregational Church). Frank is one of the most extraordinary (and popular) guitarists performing before the public today. His virtuosity has made him the guitarist of choice for many of the world’s top musicians, including Donald Fagen, Wynton Marsalis, Tommy Emmanuel, the Boston Pops, and guitar legend Les Paul, who named Frank to his “Five Most Admired Guitarists List”. The New York Times deemed him “one of the brightest stars of the guitar”. Tickets are $25 in advance, $30 on the day of the event. Click here for ticket information and online box office. Headline weekend continues on Saturday, June 16 with the Jeff Holmes big band. Click here for details and tickets. 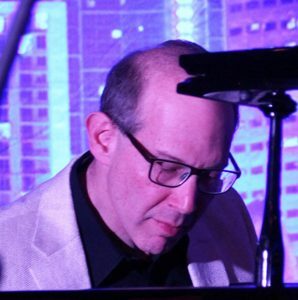 Pianist, composer, arranger and trumpeter Jeff Holmes is a nationally published composer/arranger, and a multiple recipient of National Endowment For The Arts Jazz Composition Grants. 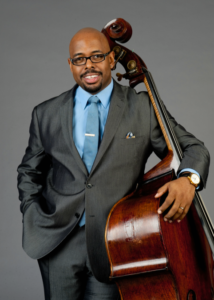 He has written music for renowned jazz musicians including John Abercrombie, Max Roach, Sheila Jordan, Yusef Lateef, Rufus Reid, and the Tommy Dorsey Orchestra. In addition to the band’s impressive library of big-band standards and originals, this evening’s repertoire will include a tribute to Leonard Bernstein, whose 100th birthday is being celebrated this year by musical organizations across the globe. Bernstein’s music touched all genres, from classical to pop, opera to jazz, and Hollywood. 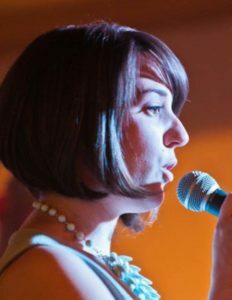 The band features the outstanding vocalist Dawning Holmes, who was first heard in Lee during the 2017 tribute to Buddy Rich. 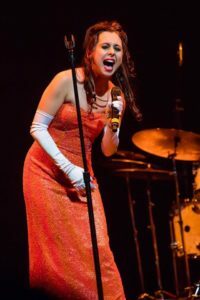 In addition to her work with Jeff’s big band, Dawning has sung in jazz clubs from New York City to London, has guested with both Paul Winter and the UMASS Studio Orchestra/Jazz Ensemble I, and opened for Bob Newhart at the Foxwoods Casino Theatre. She performs pieces made popular by Ella Fitzgerald, Etta James, Sam Cooke, Amy Winehouse, and is currently working on a project of her own original music and lyrics. Concert time is 7:30pm, at the Lee Meeting House (Lee Congregational Church). Tickets [click here] are $25 in advance, $30 on the day of the event.